Hola! and hope you’ve had a good Halloween weekend! Today is the actual day isn’t it? why don’t the offices play dress up too? Anyway, do we know the real meaning behind Halloween? How did it become something of so much fun? 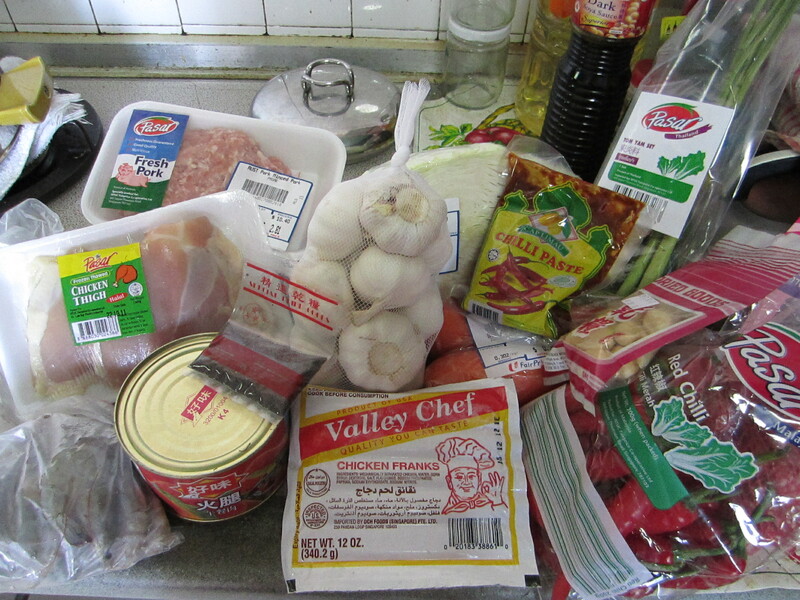 Anyway, on to the real deal.. my Portuguese Curry Devil recipe!! I made some tweaks to the original I found online from this website and its pretty close to the one that my Aunt/Uncle makes every Christmas/New Year. Its kinda like a festive dish for us as it was a treat from my uncle every festive season and since he passed, my aunty took over that responsibility to bring us this awesome deal. Coming from a Portuguese descent, this was one of his signature dishes that got us clamoring for more! Every year when I get to eat them during Christmas, I’d start having cravings for it month after month and after swearing to learn this recipe before its too late, after 3 years, I finally did. 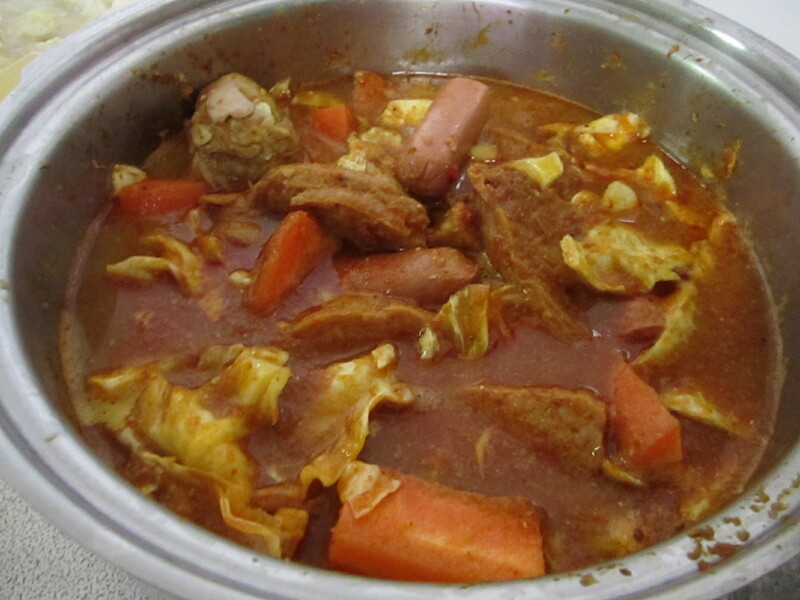 Its not that much hassle afterall and its a really simple yet hearty dish altogether. Traditionally, Curry Devil is made with leftover meats such as turkey, chicken, roast pork etc (all your festive sin food!) 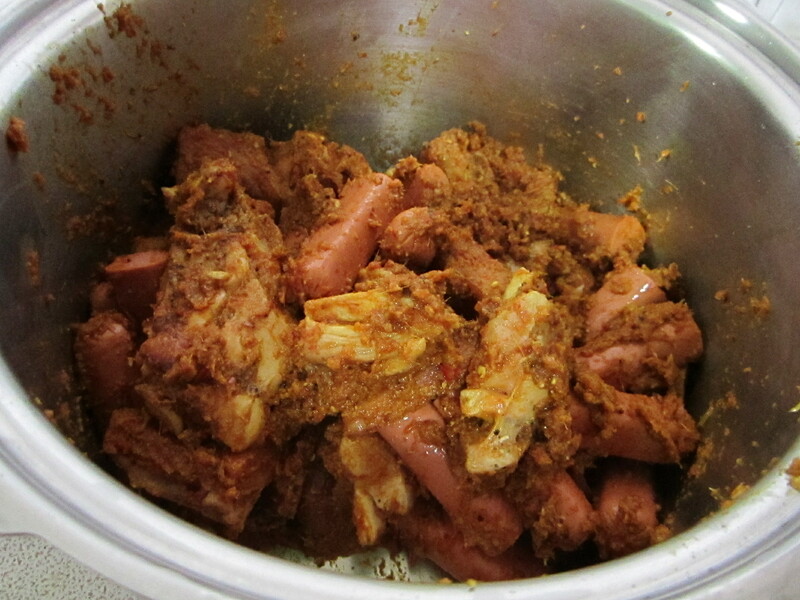 but we’ve got accustomed to simply chicken, hot dogs n luncheon meat yet somehow its still such a yummy dish! 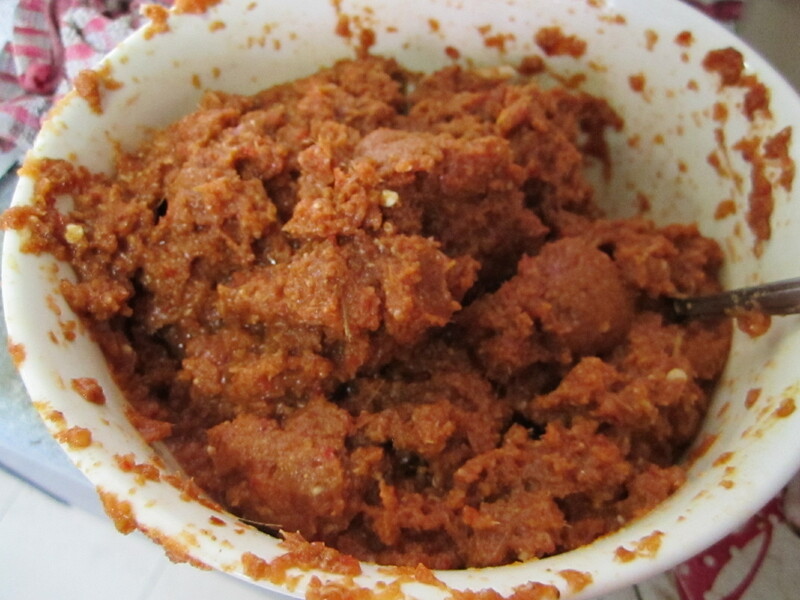 The rumpah (traditional chilli & spices paste for most curries) wasn’t as difficult as i envisioned it to be so this is a recipe I would recommend many to try it! *caution – SPICY SPICY SPICY!! 2. 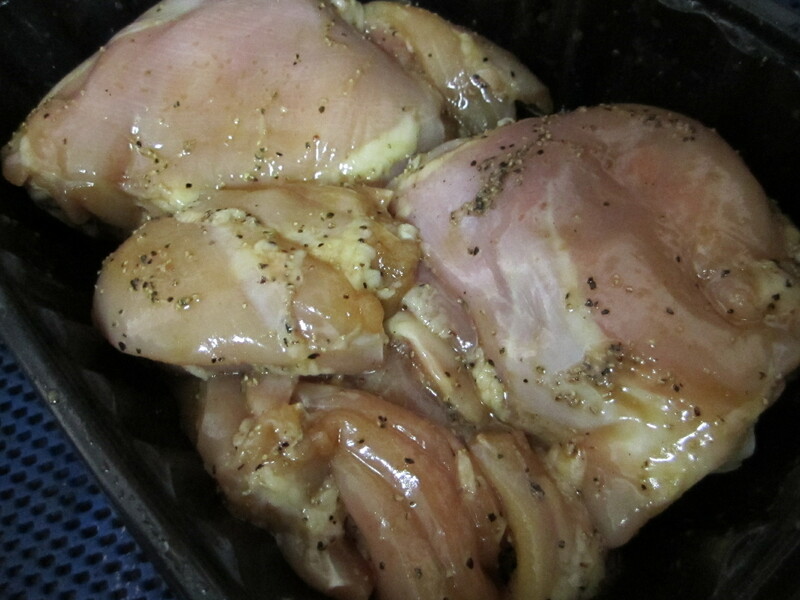 Season the chicken thigh and cut out excess fats. Season with a simple mix of salt, light soy sauce and pepper with some corn flour. Poke lots of holes in the chicken using a fork to let the flavour sit. Leave it to marinate. 5. 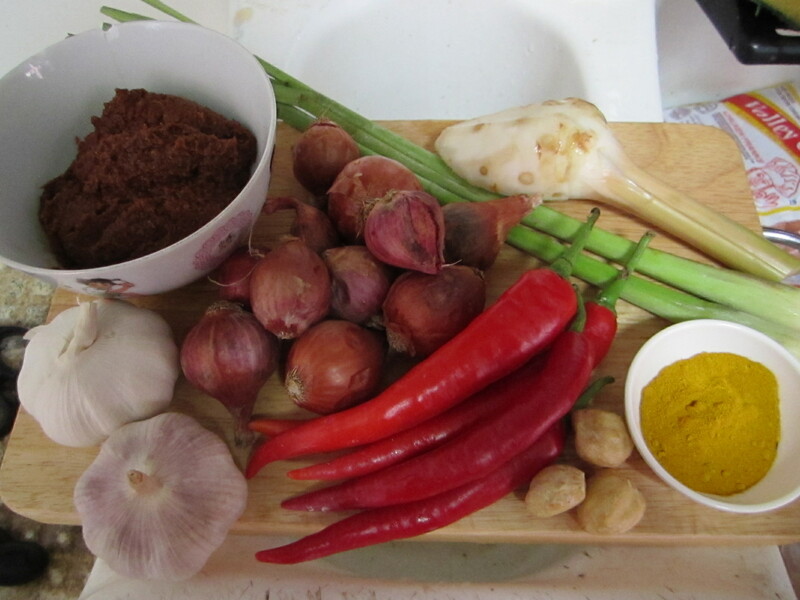 In a wok, sauté spice paste until fragrant, stirring continuously to prevent burning. 6. Add mustard seeds and sauté for another 15 seconds before adding the chicken pieces and luncheon meat cabbage and carrots. Cook for another 2 minutes. Add water and vinegar. 7. Simmer over low to medium heat or until chicken is tender and sauce thickens, add hot dog to cook and adjusting seasonings to taste. My favourite pairing to this awesome dish is a nice bowl of Nonya Meatball and Cabbage soup as it is clear n light but wholesome n quells the heat! Of course, the curry goes best with french bread/baguette but rice is good for a meal too! This is a good first try, not exactly like my aunt’s recipe but close enough (Something is missing but we cant put a finger to it!!!!) and it was fun and easy to make! I’d cook this anytime, no more waiting for festivities! no milk in it so its relatively healthy, just got to watch the meats I use. Try it and tell me what you think!! Im drooling again just looking at the pictures!! !